1v1 fighting game based on chinese kung fu cinema. fight your way through several opponents to eventually fight the mighty Dragon Master. See tutorial in game. Controls customisable via options menu. 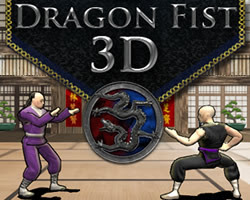 0 Response to "Dragon Fist 3D"